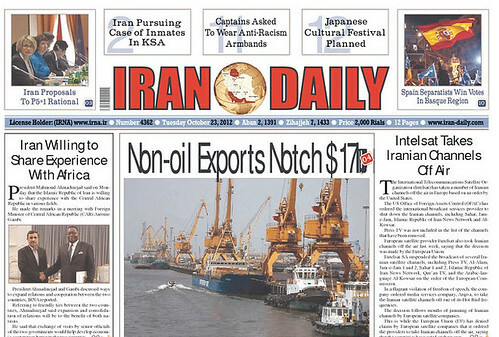 Iranian press in uproar over Eutelsat’s decision to halt the broadcast of Iranian channels. Russia plans to launch five communication satellites in 2013. GOES-13 resumes full operation following shutdown of systems because of motor vibration, which has been resolved. Russian Satellite Communications Corporation (RSCC) to take control of DirecTV-R1 and move it to Russian orbital slot. Value of SkyTrac Systems’ hardware and software used by Air Evac Lifeteam demonstrated during Hurricane Isaac. Inmarsat Cisco long term deal facilitates advanced Global Xpress satellite services. ATCi adds U.S. cable MSOs to roster of clients. Combat SkySat, a military retransmission platform carried by a hot air balloon, is demonstrated in Colorado Springs. NASA’s Global Precipitation Measurement satellite completes first comprehensive performance test. Panasonic takes additional capacity on Asiasat 5 for Global Communications Service. New ViaSat high-dynamic C-band antenna feed designed to track fast moving targets and provide exceptional tracking resolution and tracking performance. Cisco and Yahsat collaborate to deliver satellite services to government and emergency response agencies and industries such as gas and oil. Sirius FM-4 flight-ready backup satellite donated by SiriusXM and Space Systems/Loral to Smithsonian Museum. Mitsubishis’ new maritime broadband VSAT terminal receives type approval from Global VSAT Forum, following stringent tests based on Intelsat and Eutelsat specifications. SES responds to Eutelsat challenge over granting of spectrum rights. Stopping Interference Now annual forum organized by the Satellite Interference Reduction Group and the World Broadcasting Unions – International Satellite Operations Group in coordination with GVF will be hosted by HBO on November 13 in New York. Arianespace prepares for sixth Ariane 5 heavy-lift mission of 2012, which will launch EUTELSAT 21B and Star One C3. FCC approves agreement between AT&T and Sirius allowing AT&T to use spectrum for LTE network. ISRO selects Arianespace for launch of GSAT 7 and INSAT 3D satellites in 2013. SatixFy leverages CEVA-XC DSP to develop low-cost, multi-standard satellite broadband SoC targeting fixed and mobile applications. Echostar XVI satellite arrives at Baikonur Space Center. 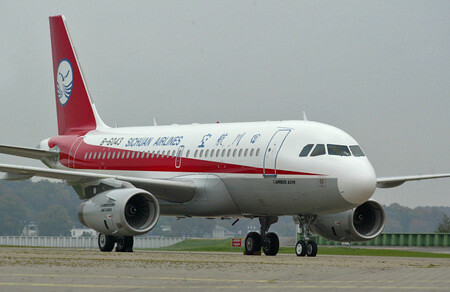 Chinese government to require Chinese airlines to install satellite broadband equipment between 2013 and 2016. ITC Global completes acquisition of Spidersat, deepens local presence in Africa. China to add 16th satellite to Beidou satellite navigation system with launch at end of October. Eutelsat 70B arrives at Sea Launch home port. Eutelsat cuts off Iran State Broadcaster a week after Iran escalates jamming of Eutelsat satellites. Intelsat 23 launched by Russian rocket after rocket failure just two months earlier. Recent 3-year satellite capacity contract awarded by European Defense Agency to Astrium provides hope of future opportunities. Avanti, InSat, and Newtec successfully complete joint tests of Newtec’s Ka-band hub on HYLAS 2 from Cyprus. ITU presents award to Thuraya for utilizing information and communications technologies to save lives. Onboard Internet becoming common amenity as Asian airlines join in. NSR’s third installment of SCADA/M2M via Satellite report provides critical analysis of satellite-based SCADA/M2M platforms and predicts healthy expansion of the market. This entry was posted on Monday, October 22nd, 2012 at 5:44 pm	and is filed under Front Page. You can follow any responses to this entry through the RSS 2.0 feed. You can leave a response, or trackback from your own site.